The Grammy Museum was established in 2008 as a non-profit organization to cultivate a greater understanding and appreciation of the significance of music and the history of recording. The museum exhibits a collection focused on musical heritage, paying tribute to the legends that made lasting marks over the years. The museum exhibits cultural American music from its inception to the current music of today, with the aim of educating and inspiring the next generation of artists. 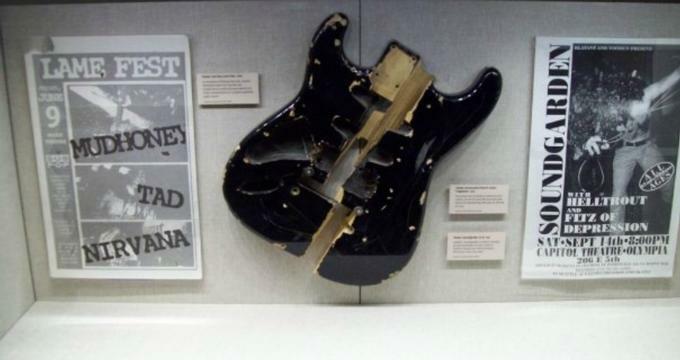 While visiting the museum, you will see some of the current and fascinating exhibits, such as Shining like a National Guitar, the Michael JacksonExhibition, For the Good Times, featuring artists like Kris Kristofferson, Ella Fitzgerald at a 100, the Monterey International Pop Festival, Marty Stuart’s Way Out West, and 40 years of Punk in Los Angeles, among others. In its aim to celebrate the legacy of the best singers of all time, the museum opened an exhibition for Michael Jackson after his death in 2009. The display contains some of the clothes, gloves, and jackets worn during the music video for his hit single Thriller. Rhymes and Reasons of John Denver features the unique artifacts of the philanthropist and humanitarian, who is celebrated for his song writing skills. By displaying John Denver’s artifacts, the museum aims to inspire visitors through his music, which was acclaimed for his enthusiasm as an activist who cared for the environment. The Good Times of Kris Kristofferson exhibits personal artifacts, such as handwritten lyrics, the army-issued jacket he wore while serving as an airborne ranger, and his vocal album that won him a Grammy award in 1973. He was also an actor with a unique way of writing, earning him a RhodesScholarship. The museum also holds a number of additional traveling exhibits to inspire visitors to learn more about the roots of American music. Over the years, the museum has accommodated close to 230,000 students through its workshops and career-based backstage pass program. Through the Music Revolution Project, the program offers students a chance to engage with musicians and academy teachers. There are different genres of musical discussion throughout the year. Other educational services are available for Girl Guides and Boys Scouts. This is a curriculum guide for music in the classroom in addition to library programs. The museum hosts over 25,000 visitors annually and supports under served students as well as those from low-income communities with donations made by members. The museum invites you to enjoy the membership benefits by registering online from as low as $60 for emerging artists to $300 for headliners. The museum is open to the public from 10:30am to 6:30pm, Monday to Friday. On weekends, the museum opens from10:00am to 6:30pm. Tickets sell from $8 to$12 and entrance is free for children under 5 years old and museum members. There is plenty of parking within the vicinity.